Dispenses antiseptic solutions and synthetic detergent soaps. Chrome plated brass bracket. 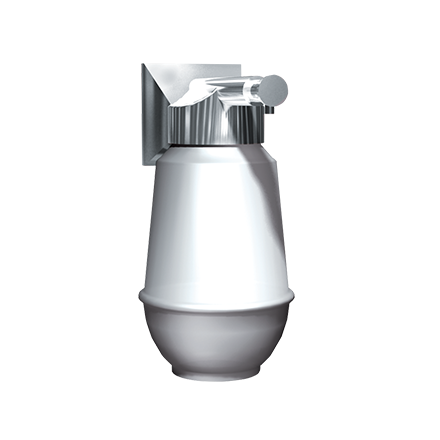 Capacity: 16 ounces (0.5 L) white polyethylene globe.